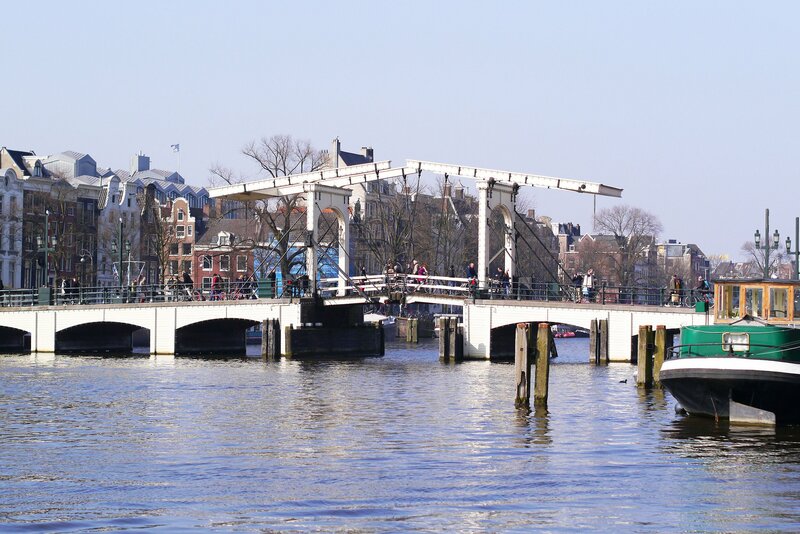 Magere Brug or Skinny Bridge, is one of the most beautiful bridges of Amsterdam. 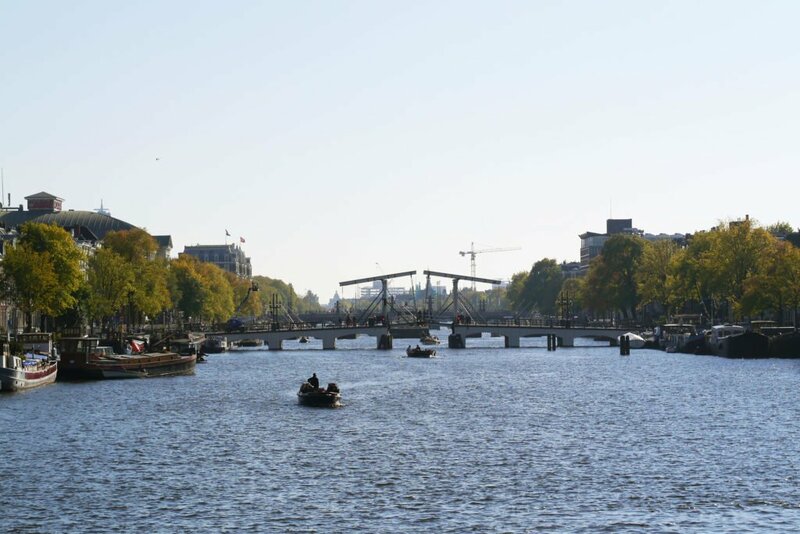 Crossing the Amstel River, opposite of the Carré Theatre, this bridge is a very popular tourist attraction. 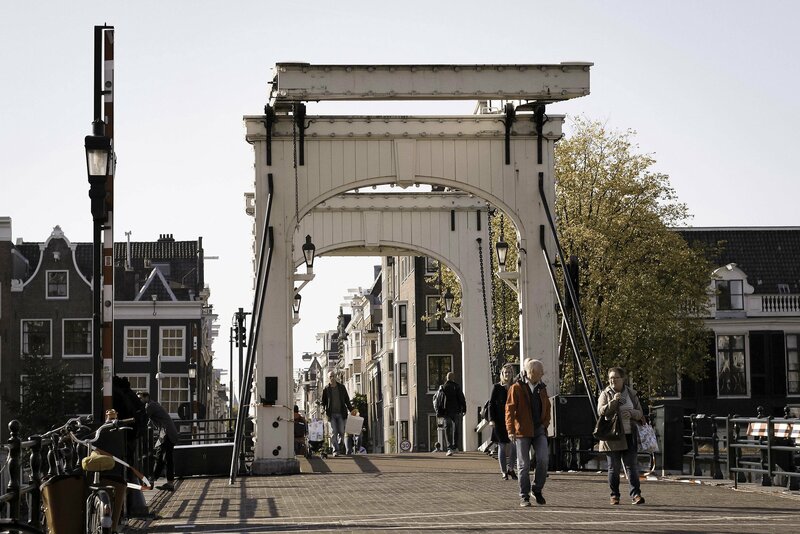 The legend says that Magere Brug was built by two sisters living on opposite sides of the river, so they can visit each other easily. 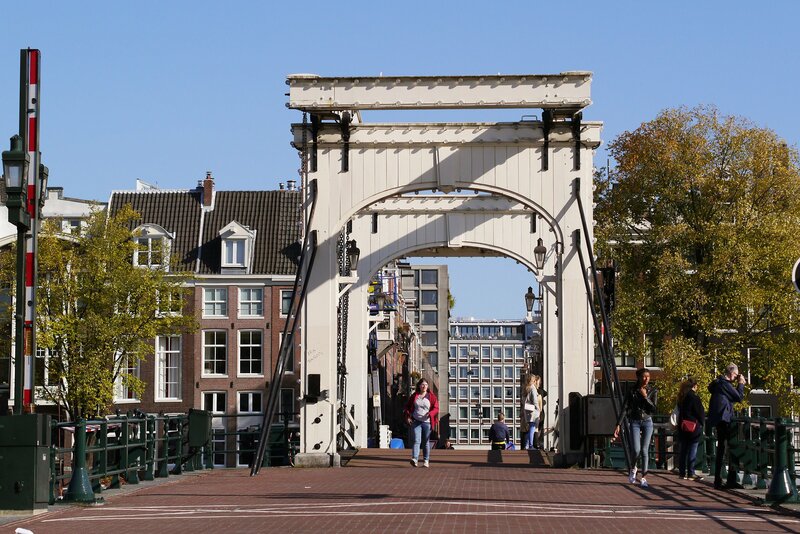 The current bridge is actually a replacement of the initial one, built in 1691, which was much more narrow and not very practical. 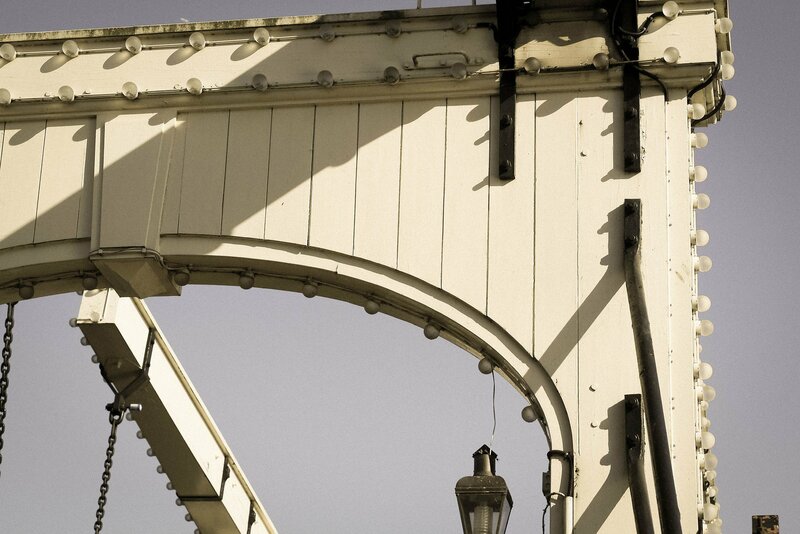 I like the old wooden design of the bridge, it looks very romantic to me. 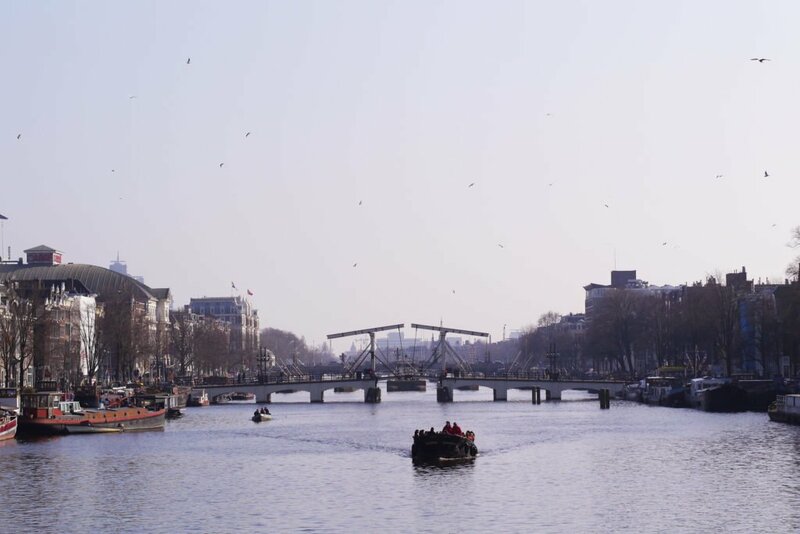 I learned that it is called a double-swipe balanced bridge, which means that when it opens to let the boats pass, both sides of the bridge rise simultaneously (for most bridges in Amsterdam, only one part is open in order to make space for the boats to pass). 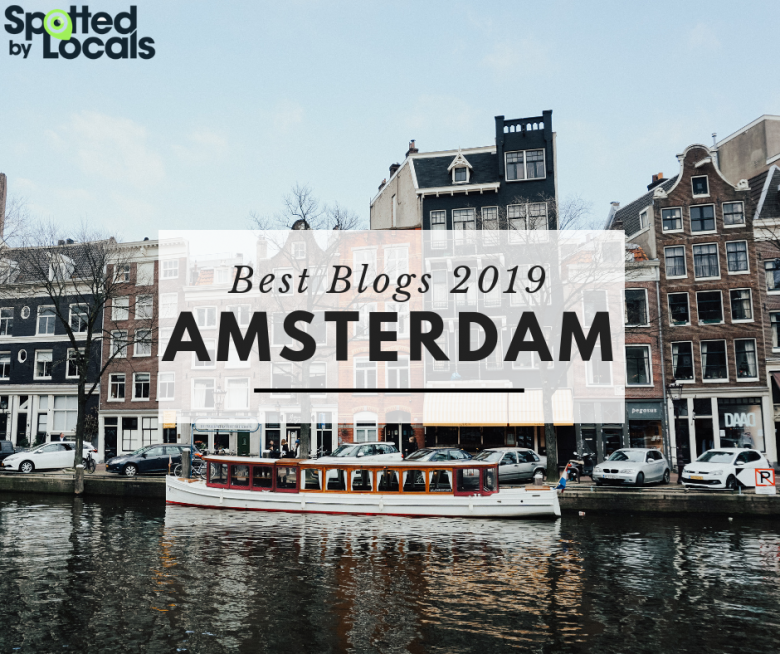 It’s a great spot to take pictures and also looks picturesque from a distance. 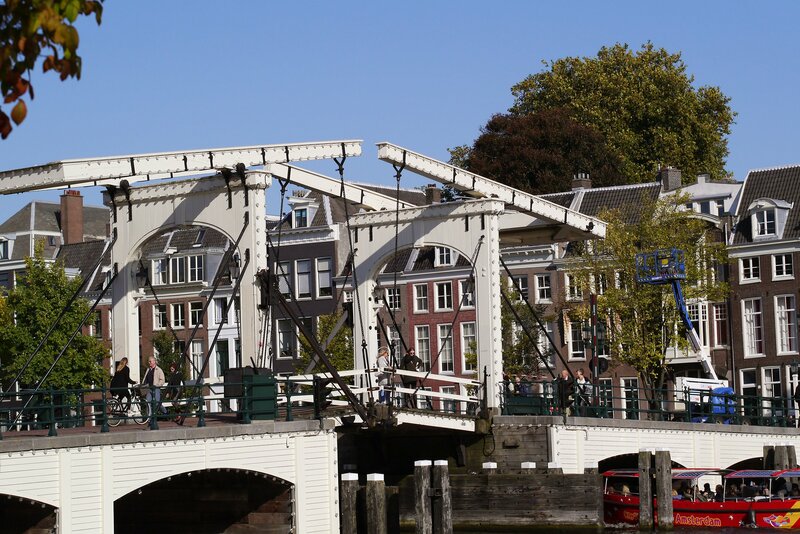 It is one of my favourite bridges, next to the ones located on Prinseneiland. But, about these, another time!